The applicant must have at least 5 years’ experience working in communications for a progressive organization, elected official or union, using both traditional and online platforms. Compensation: Competitive salary and excellent benefits. 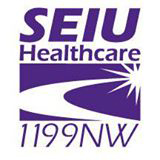 To Apply: Send résumé and cover letter to Penny Lowry, pennyl@seiu1199nw.org.